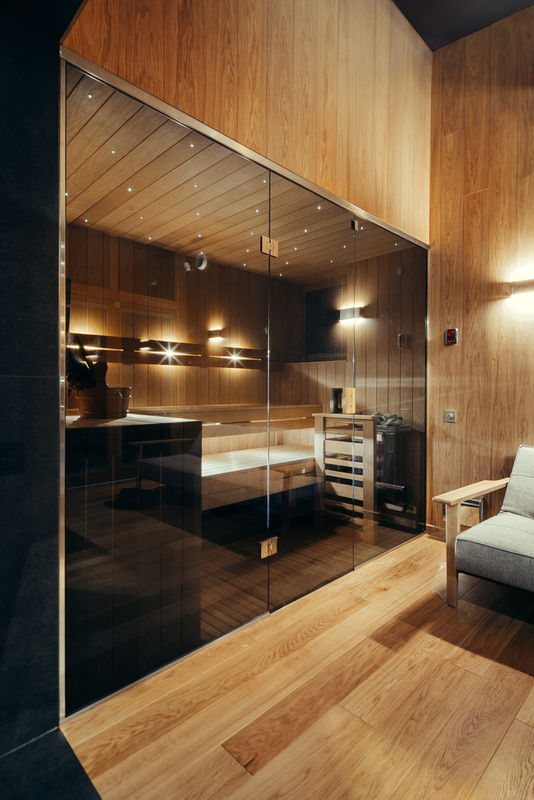 This sauna designed by Spot Architects was a really interesting project that we did want to cover. The maximum building area is of 25 square meters and there were strict legislative restrictions that needed to be respected in regards to the property. 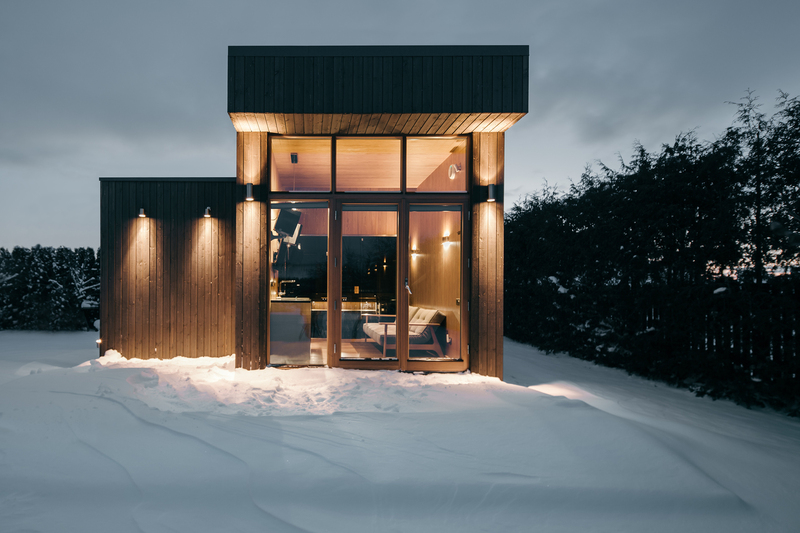 A classic sauna design was not possible so the exterior was designed in a way that would look modest and away from the entire environment. 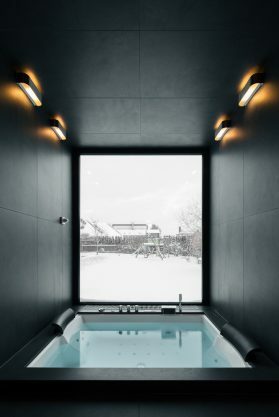 This sauna definitely looks spacious, although it is really small. Various simple principles were used. Building geometry was connected with interior connections to create a really clean plane. All planes are bounded by one edge at a minimum so entrance into outdoor space is possible. Views remain visible and space seen becomes altered. 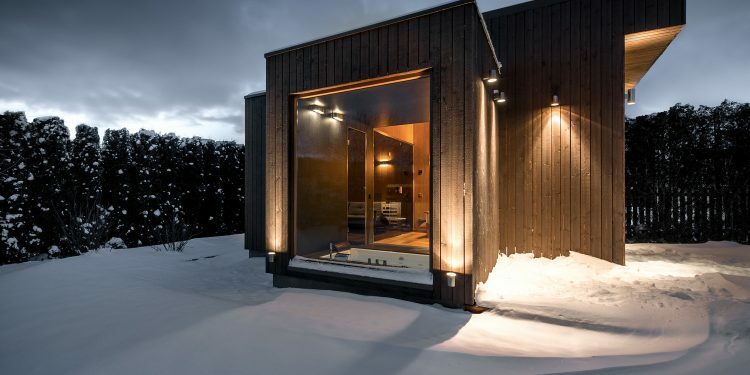 The sauna that we see here has a concept that reflects sauna functionality, which is linked with Axis Mundi (connection between Earth and Heaven). 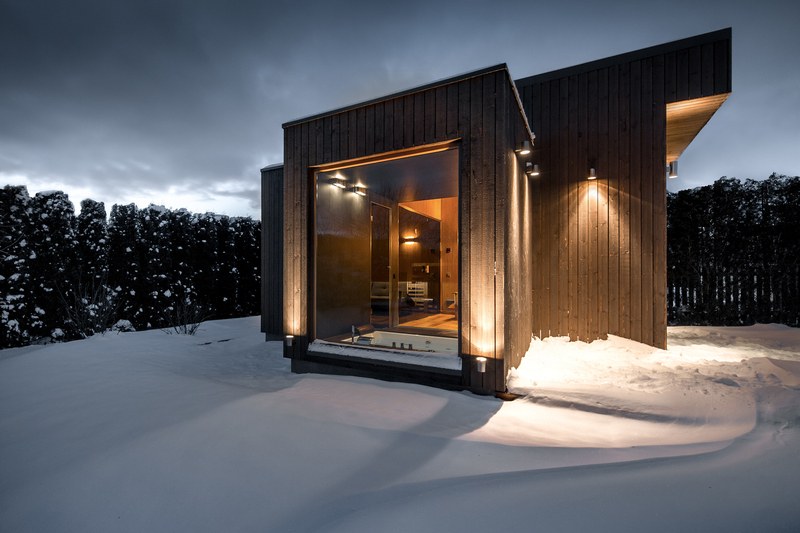 Skylight use is inspired by temperature changes as one leaves the sauna, together with 2 windows that face the yard. We are faced with the illusion of an outdoor space that is refreshing. 7 interior planes are used, all with a focus on details and purity.